Saint-Etienne is the capital of the Loire department in the Rhone-Alpes region. It is the second largest city in the Rhone-Alpes (after Lyon), that developed as an industrial town with arms manufacture, and the manufacture of ribbons being important from the 16th and 17th centuries, and later on coal mining also becoming important. 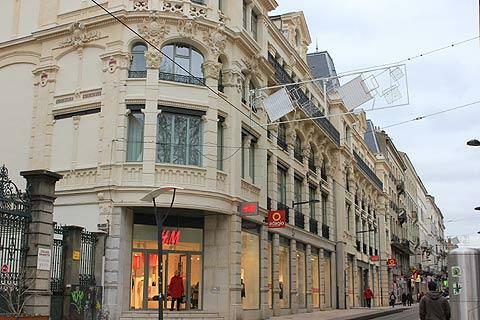 With the decline in these traditional industries St-Etienne has focused on design and new technologies and has also focussed on its heritage and culture. It became a 'Town of Art and History' in 2000 and a 'City of Design' in 2010. 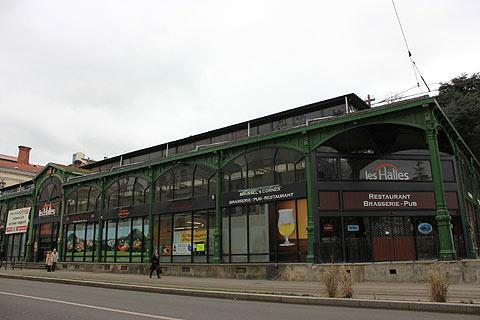 Its old Arms Factory has been turned into a design centre called the 'Cité du design' . France This Way comment: Saint-Etienne is not really a town visited by tourists but if you are in the area it has a pleasant centre and a fair few places of interest to visit. 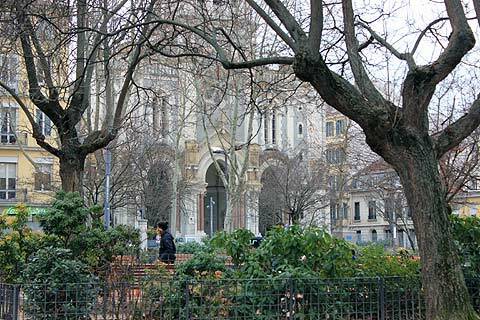 The town centre is based around the Place Jean-Jaures, a large square with large grassy areas and the Cathedral Saint-Charles; the Place de l'Hotel de Ville which is a large square surrounded by impressive buildings; and the Place du Peuple which has long been a favourite in the city. The Place Jean Jaures became the economic and political centre of the town in the 19th century. This large square is very attractive with statues, fountains and large open spaces as well as an attractive band stand. On one edge of the square you can see the Cathedral Saint-Charles and around the other edges are buildings built by the wealthy notables of Saint-Etienne with richly decorated facades and balconies. 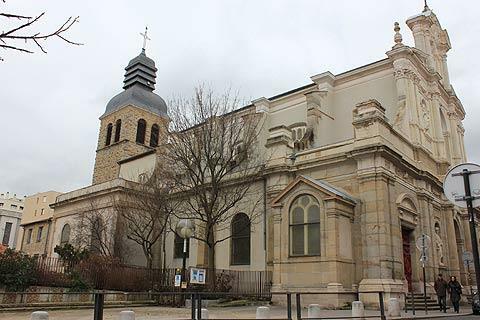 The Cathedral Saint-Charles was built in the early 20th century when the 'Grand Eglise' became too small. The church is in a curious mix of styles and although not beautiful it has a certain charm. It was elevated to cathedral status in 1970. At the south side of the Place Jean Jaures is the Hotel de Ville which sits between this square and the Place de l'Hotel de Ville. This is a large and attractive square whose symmetry adds to its elegance. This symmetry was part of the design for most of the square and contrasts to the south side of the Place de l'Hotel de Ville where you can see the large Immeuble du Grand Cercle. 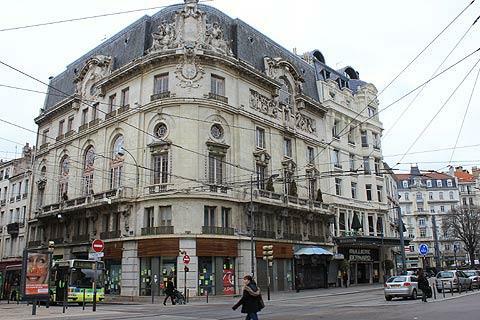 The Immeuble du Grand Cercle was built for one of the wealthy ribbon merchants in 1842. Its size and the materials used for its construction are all designed to display the wealth of the client. On the first floor of the building are some impressive paintings dating from the Second Empire. 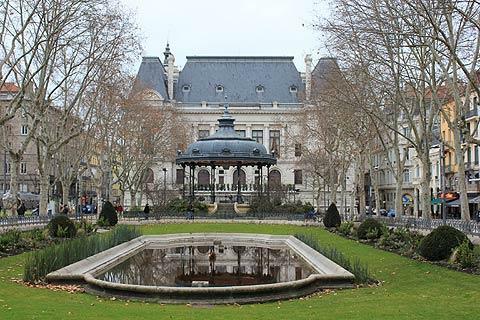 Continuing south you reach the Place du Peuple with its striking Tour de la Droguerie dating from the 16th century and surrounding buildings from the 18th to 20th century. The Tour de la Droquerie was part of the original ramparts surrounding the city. 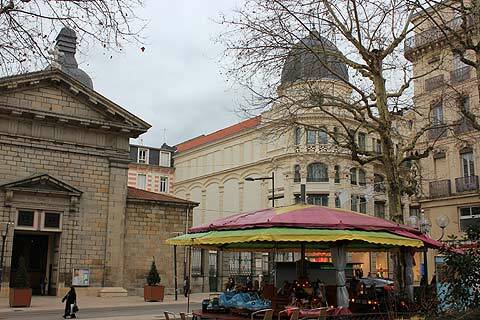 The Place du Peuple is at the centre of the main shopping area of Saint-Etienne. To the west of here take a look at the maison 'Francois I' which was largely built in the 16th century and inspired by Renaissance architecture. Inside, one of the rooms has a magnificent wooden ceiling. The building is part of the Centre for Architecture and Heritage. To the east of the Place du Peuple the streets are full of buildings with impressive facades and ornate balconies. 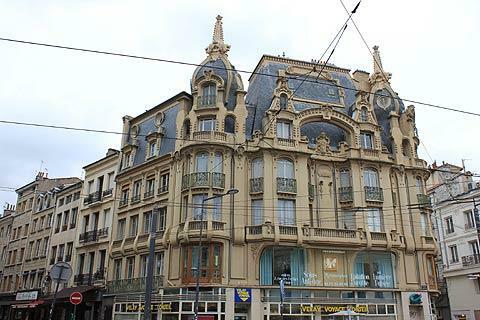 In particular look out for the Hotel des Ingenieurs, the Immeuble Subit and the Immeuble des Lamaiziere - all on or close to the Avenue de la Liberation (as is Saint-Etienne Tourist Office). 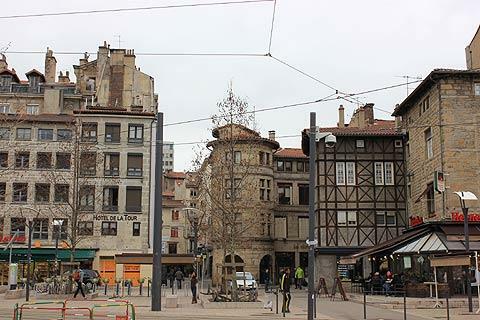 Back to the north near the Place Jean Jaures the Quartier Saint-Jacques is crossed by one of the old pilgrim routes to Compostella. This area is full of buildings of the 17th and 18th centuries and parts of it are pedestrianised. Be sure to walk up the 'Montée du Cret de Roch' for a great viewpoint. The Quartier Saint-Jacques is the area to head for at night if you are looking for bars and restaurants and a good atmosphere. Saint-Etienne has an excellent planetarium with a space simulator and it is the first in France to be in 3D. It is at the Espace Fauriel - 28 rue Pierre et Dominique Ponchardier. The Musée du Vieux Saint-Etienne (housed in the 17th century Hotel de Villeneuve) and the Musée de la Mine have interesting exhibitions about the development of Saint-Etienne and its mining industry. Just 13 kilometres from here in the town of Firminy there is a church designed by Le Corbusier. It is an extraordinary design and after many delays has finally been finished. It has been declared by the 2010 World Architecture Survey to be the second most important building built in the 21st century. The church is built in concrete and I suspect you might not agree about its importance but it is an important local landmark. St Etienne is on the doorway of the picturesque Parc Naturel Regional du Pilat where Sainte-Croix-en-Jarez, one of France's most beautiful villages' is a short distance south of the town.